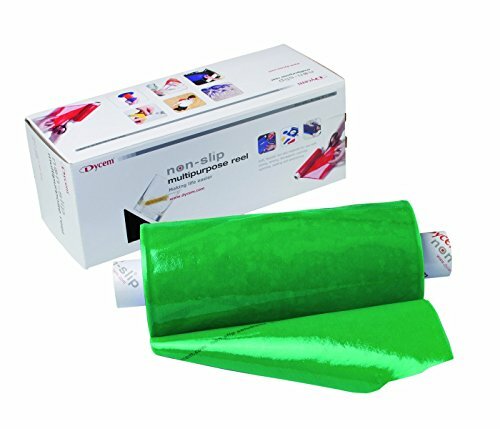 Dycem Non Slip Material, Roll, 8''X6-1/2 Foot, Forest Green by Dycem at Get Cheap Health Insurance. MPN: 50-1501G. Hurry! Limited time offer. Offer valid only while supplies last. Original Dycem anti-slip material is 0.4mm thick. It is non-slip on both sides and flexible. Flexibility allows it to flex and fit around object. Original Dycem anti-slip material is 0.4mm thick. It is non-slip on both sides and flexible. Flexibility allows it to flex and fit around object. Easily cut piece from reel. Material can be used for a variety of applications: For gait re-education and balance activities; Can be used under hands, feet and knees; To stabilize equipment or limbs in weight bearing exercises; Under plates for eating and dining; Beneath people's feet and on seats to help improve positioning and posture when standing or sitting. Material is reusable and easy to clean. Latex free. Flexibility allows it to flex and fit around object. If you have any questions about this product by Dycem, contact us by completing and submitting the form below. If you are looking for a specif part number, please include it with your message.